(a) Nomos was the most important type of musical composition and interpretation in ancient Hellas. The Pythian or Pythic nomos, played on the homonymous aulos, was created by Sakadas and won him the first prize of auletic art in the Pythian Games in 586 BCE. His aim was to describe the battle between Apollo and Python. Thus, it’s been the first known example of program music – the one describing a theme, in contrast with the absolute or abstract or pure music (see also Chronicle 1: SAILING AROUND PERIPLUS). As long as one is preoccupied with the ancients’ exaltation, that is, as long as he is just a… carrier of the “virus”, there is no big problem. What happens, however, if he becomes symptomatic and possessed by “ancestor-mania”? The result is more than obvious in the above citation from a text on a record with Songs of the Peloponnese, issued by the Society for the Dissemination of National Music, and written by Simon Karas himself – despite his admittedly immense and invaluable contribution on this subject. The term psaltery was general in ancient Hellas, had no relation with the religious psalms and referred to all string instruments played directly with the fingers without a plectrum. 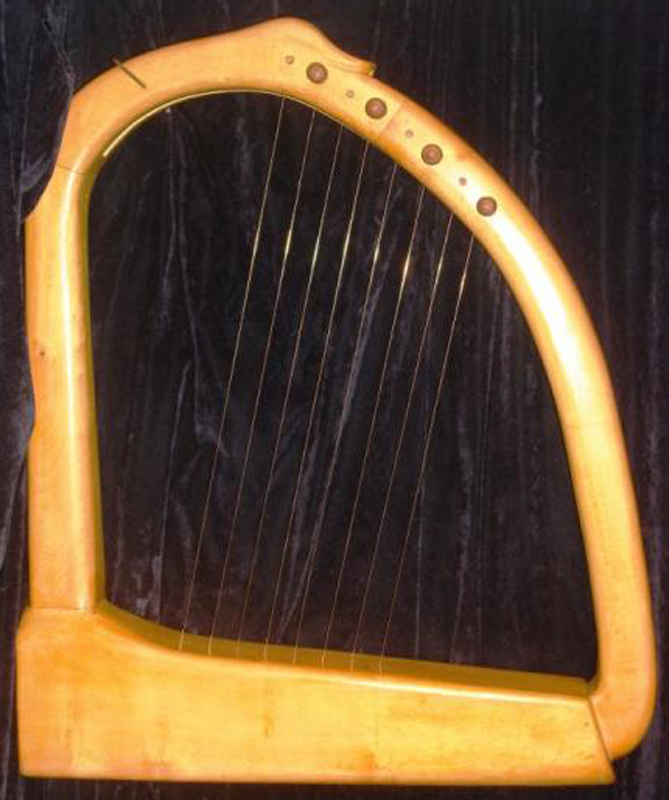 Included in the same category were, among others, the nabla, simicium and trígonon (harp). 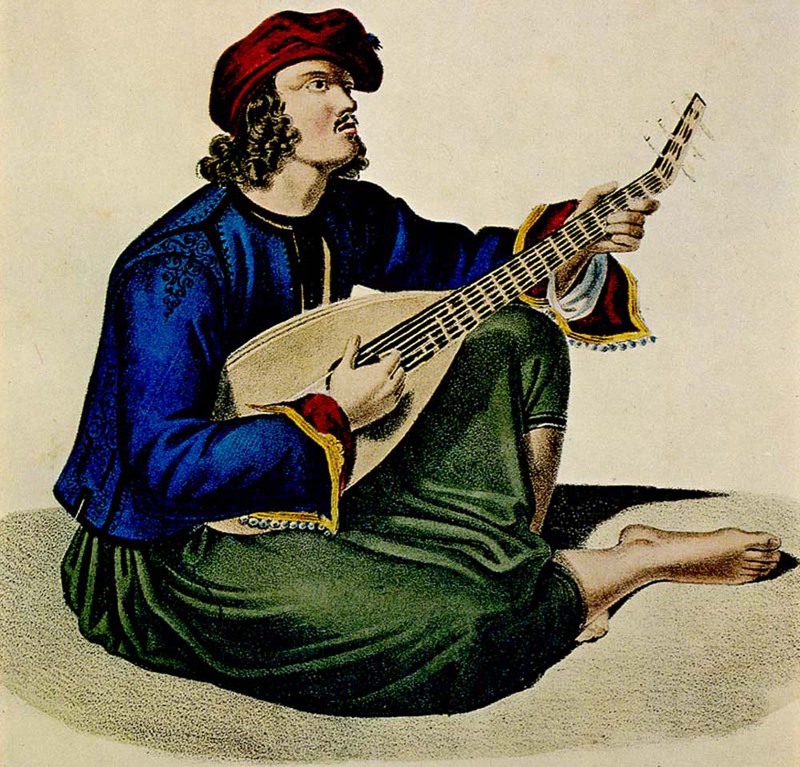 As a rule, they were multi-string instruments, some of them not “psalteries” for they were played with a plectrum. The most impressive of the latter was perhaps the sambuca that was more than one metre high and looked like a homonymous siege engine. It seems that the instruments of this numerous family, especially those with many strings, did not differ much – at least for the non-connoisseurs – and thus many people confused them. However, some of them were played upright evolving into the harp, while others were used horizontally and ended up as the qanun and santur. 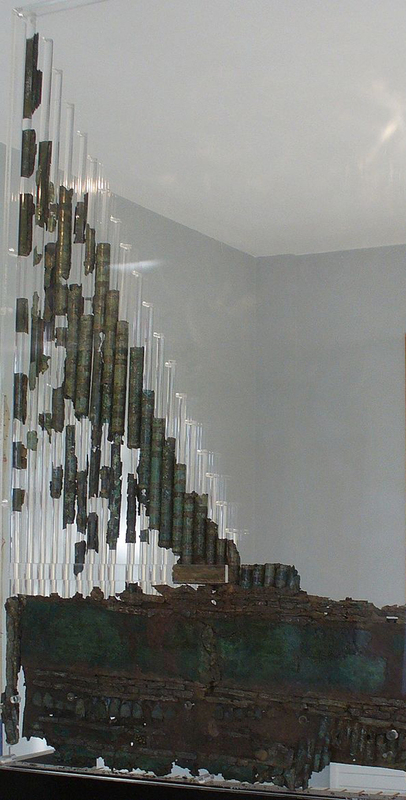 These instruments were known and in use in Greece before it became… Greece, that is, since the (pre-Hellenic) early Bronze Age of the 3rd millennium BCE. 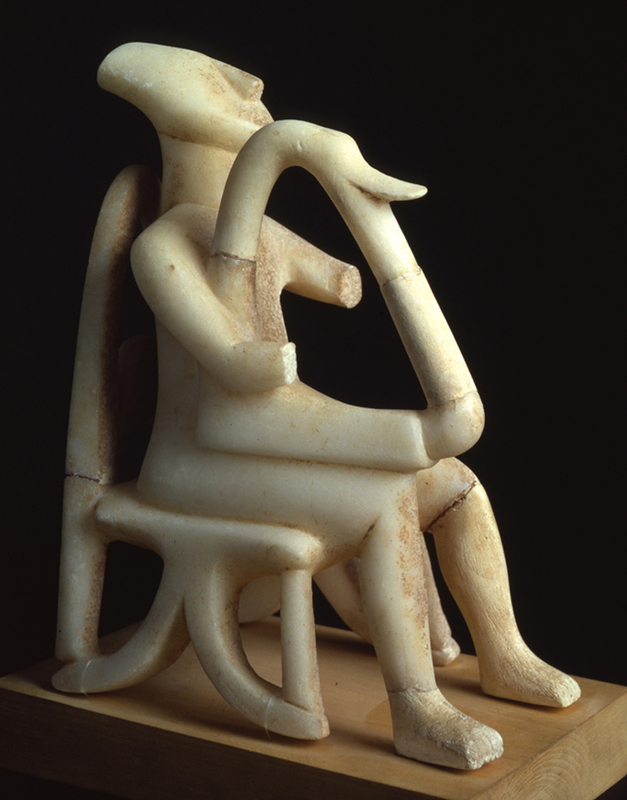 The clearest proof is the Harpist (Trígonon player) of Keros, a beautiful Cycladic figurine dating back to 2800-2300 BCE. Despite these instruments’ long history in the Greek world, Plato and some other philosophers condemned them as unmanly, while Aristotle‘s pupil, Aristoxenus of Tarentum, the so-called Musician, a most important figure in the area of music theory in ancient Hellas, one of the pioneers of musicology, as we would say today, described them as έκφυλα, that is alien – in the word’s literal sense and not the metaphorical that’s been left to us (degenerate). The name of a similar instrument called phoenix, originating probably in Phoenicia, points to the same direction. But the mentality peculiar to a good number of Modern Greeks was also widespread in ancient Hellas. Thus, the Delian poet Semus, based on the well-known saying and established notion that “there’s no place like home”, claimed that the phoenix was so called because its arms were constructed of Delian “phoenix” (palm tree in Greek). What we get, indeed, out of this claim is that in his time the islet was not only inhabited and not barren as it is today, but instead covered with vegetation including palm trees! 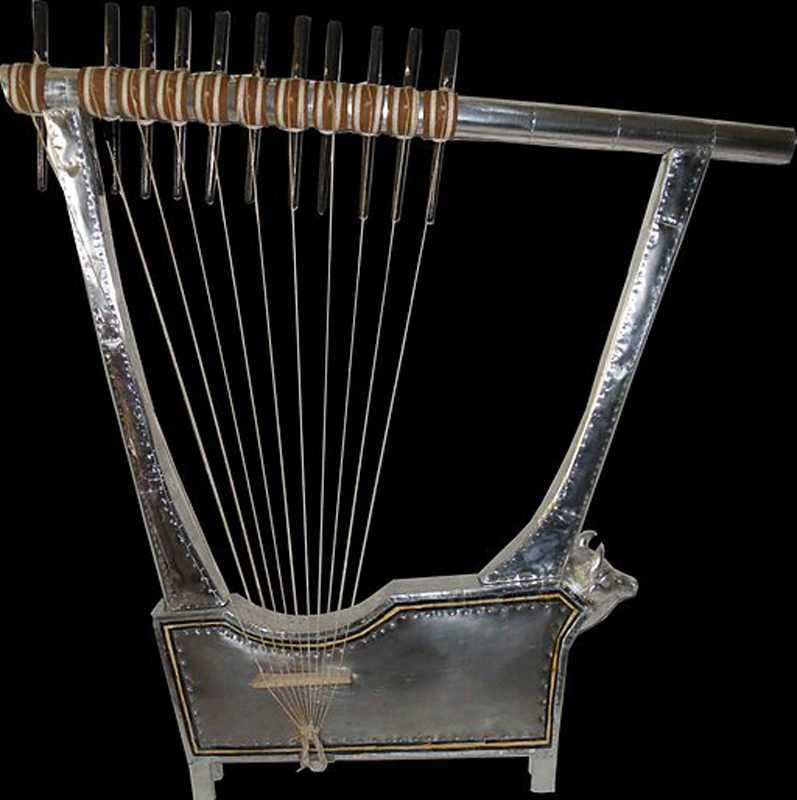 Based on the same “logic”, it was argued that another multi-string instrument, the epigónion, was so named after its inventor, Epigonus of Ambracia, a musician of the 6th century BCE. 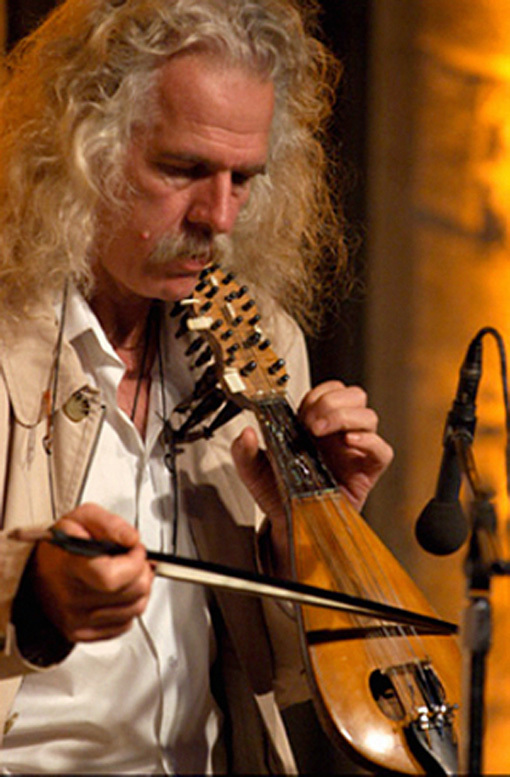 It took an expert of musicology such as Curt Sachs to bring forth the apparent etymology of the word (επί = on + γόνυ = knee) as the musician placed the instrument on his/her knee(s). 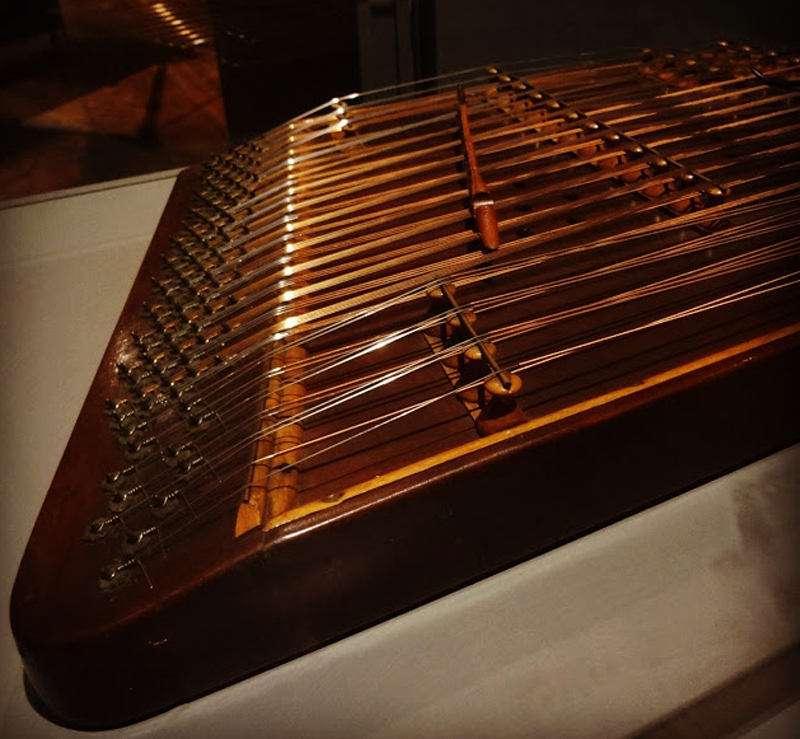 Qanun, on the other hand, was the name of the monochord, an instrument with just one string, used mostly by music theorists to determine the mathematical relations of sounds (from κανών = rule, in Hellenic), usually called as the Pythagorean qanun, for its invention was attributed to Pythagoras. The great Samian philosopher, mathematician and music theorist of the 6th century BCE, however, before going to the Occident to set up his school in Crotone of Magna Graecia, had travelled around a lot in the Orient and become familiar with the achievements of the Assyro–Babylonians and Egyptians in the above areas. Pollux, who has instructed us about the origin of the tríchordon (pandura), says now that this simple instrument, the monochord, has been an Arab invention. 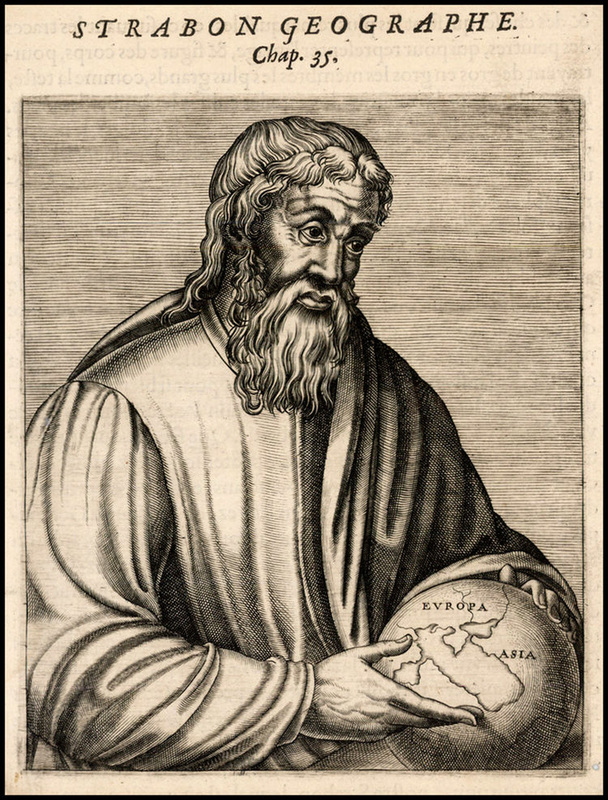 On his part, Nicomachus of Gerasa, a Pythagorean mathematician and music theorist of the 2nd century CE, writes that the monochord is often called phánduros – that is, pandura. 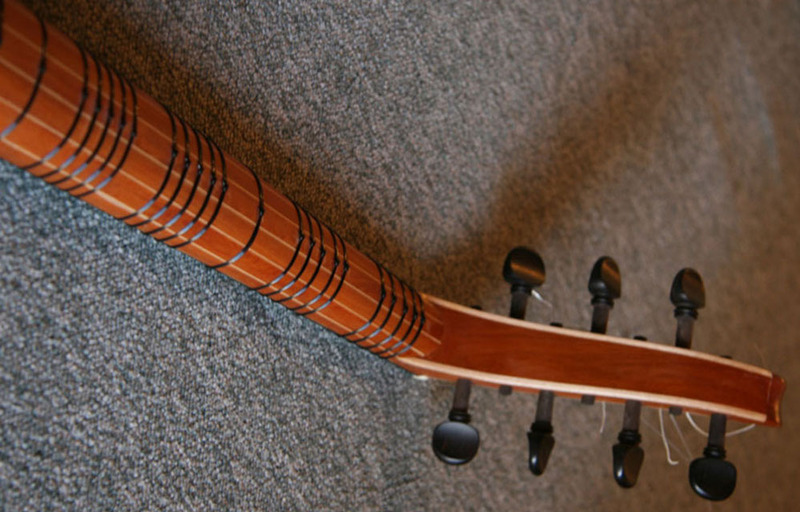 It is not known if the monochord qanun was the starting point of an evolution that led to the tanbur and quanun. 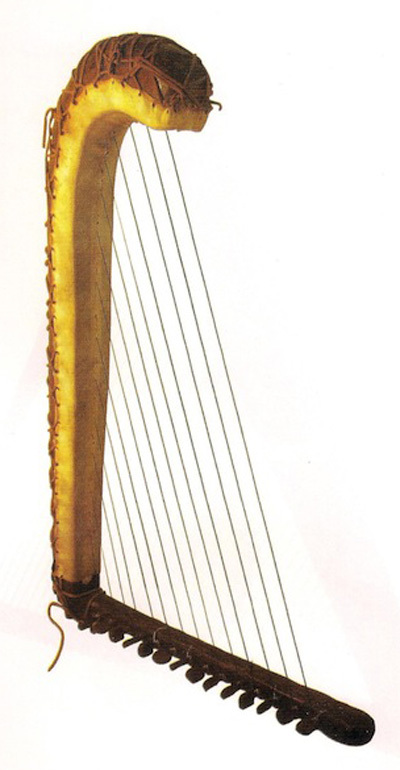 But anyway that’s how we have come full circle back to the tríchordon, the ancestor of the thambura and the rest of the lutes with long necks we have already seen (see Voyage 6). 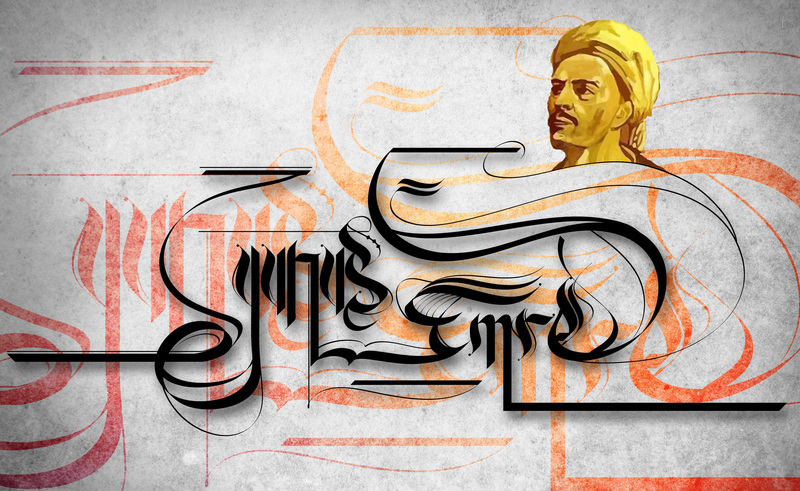 (b) San-tur: cent (hundred) and tar (string) – although the classical Persian santur has “only” 72 strings. The pectis and mágadis, which Karas identified with the santur and laouto respectively, were two similar multi-string psalteries of Lydian or Thracian origin. If we trust Aristoxenus, “they were one and the same instrument”. They said that the first musician to use the pectis was the Lesbian Sappho (around 630-570 BCE). 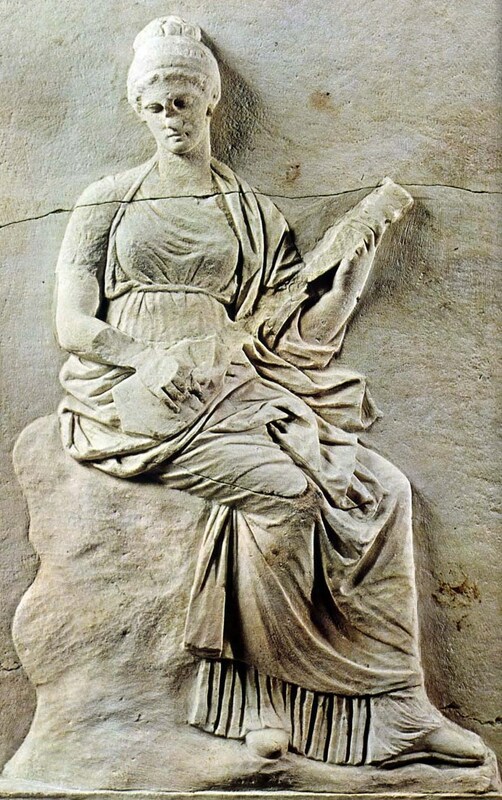 Living in the 4th century BCE, in the same culture that had brought forth these instruments, Aristoxenus had the reliable information, but also the “legitimate right”, to identify these instruments. Where did Karas of the 20th century CE find this right? He obviously acted arbitrarily trying to defend Hellas’ “national interest”! 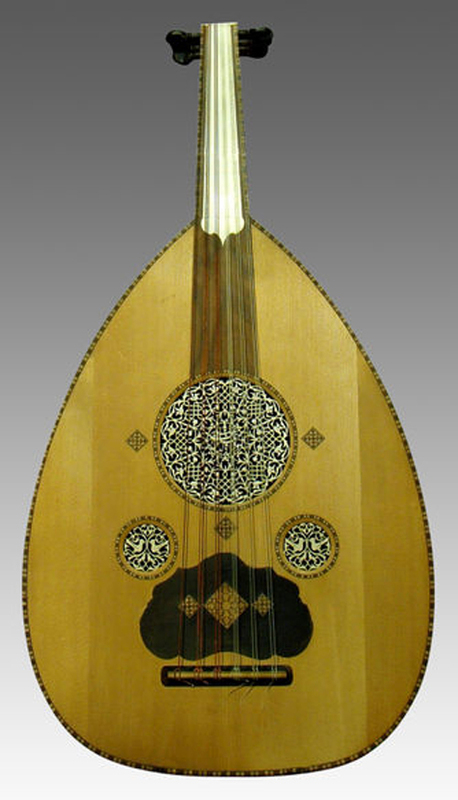 Claiming that this instrument had a Greek character (and denying that this character had been Arabo-Persian), Karas invoked its “tuning based on the ‘sýstêma ametábolon’ with synêmména tetrachords”(c) – presenting the reader with something impressively grandiose and sufficiently incomprehensible! Personally, I think that these systems confuse, rather than enlighten, the ordinary music lovers. So I suggest that we pass them by. But the same does not apply to diapason. (c) The tetrachords of the sýstêma téleion ametábolon can be either synêmména (attached) or diezeugmena (“divorced”, detached). 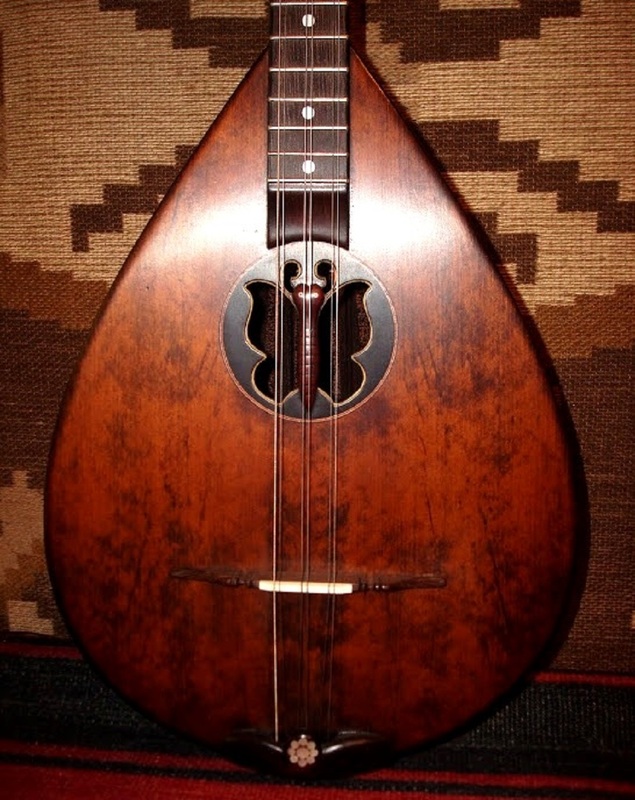 The mágadis, as well as other multi-string instruments, had its strings in double courses tuned in octaves (e.g. RE-re) that the ancients called “διὰ πασῶν” (diá pasôn). The verb “μαγαδίζειν” (mágadis style) denoted a technique of playing a melody in octaves. This is the way the Arabs play the qanun nowadays. 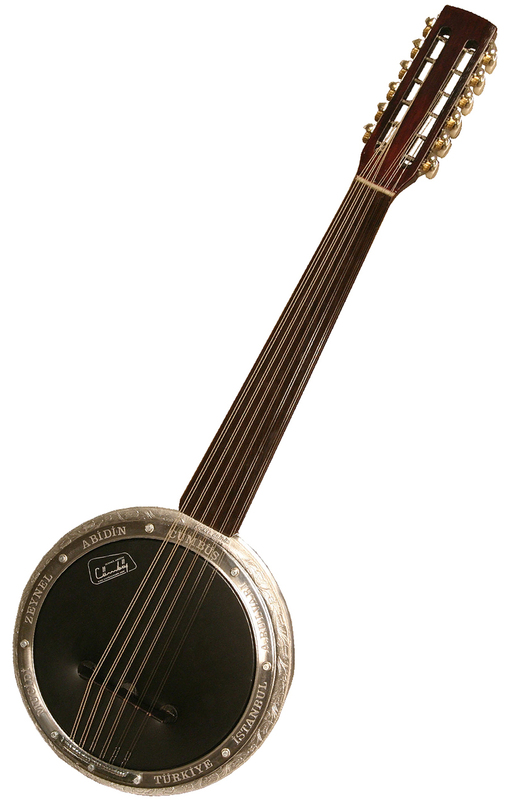 According to some writers, the term mágadis (which also defined a kind of aulos) came from the word magás, meaning the bridge of a string instrument. The historian Duris, however, attributed it to a Thracian musician called Magdis. (d) It should have been written “three or more notes”, because if only two notes sound together, there’s “no [Occidental] harmony at all”! The human beings e.g. have always sung “mágadis style”, in octaves, because men’s voices sound in a lower register than those of women and children. Even if it is monophony, it’s still “two notes sounding together” (heterophony). The same happens in the case of a drone or ison. Note that the traditional polyphony in Europe, Africa and Oceania is undoubtedly older than the erudite West European polyphony. How comes, you wonder, that the ancient Hellenes invented a term for something that they did not have?(!) 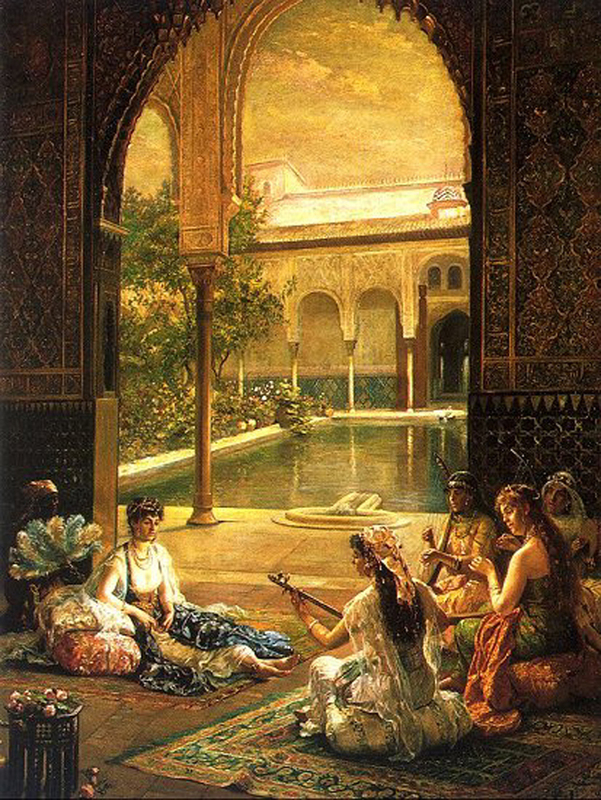 Searching for an answer, you conclude that harmony for them was any of the several arrangements of notes within an octave, in a system where its parts were connected in such a way as to form a perfect whole (hence harmony) – that is, it was the mode, echos, ‘route’, maqam, dastgāh, raga. Thus, harmony in modal music is not about notes sounding together, but refers to the relationship of any note with those that have preceded it and the others that follow, in a system structured dynamically and horizontally rather than statically and vertically. Harmony for the ancient Hellenes was any arrangement of notes within an octave. In modal music it refers to the relationship of any note with those that have preceded it and the others that follow. Polyphony appears whenever there is no space for microtones. But not even polyphony originated in the Occident. We have seen that polyphony is nothing unique. Just think of how many kinds of polyphony are still practiced in the area centered on the Balkans e.g. in Epirus and Albania, in Thrace (Greek, Bulgarian or Turkish), also on the Caucasus Caucasus (Georgia and elsewhere in the area), or in Corsica and Sardinia, and far more in other regions of the world. Polyphony appears whenever there is no space for microtones in music. 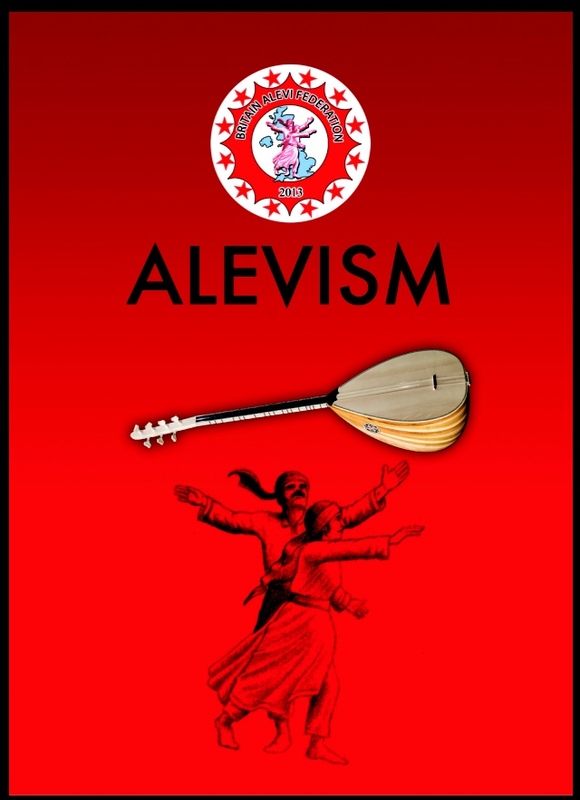 It’s been inconceivable in the Anatolian music due to the diversity of its intervals, but natural in the Epirotic music and any other based on the pentatonic – that is, the most ancient of the scales, with five degrees (instead of seven) and whole tones without semitones. The term diapason is related to harmony and derives from the phrase “ἡ διὰ πασῶν τῶν χορδῶν συμφωνία” (the accord through all the notes). That is, it was the eighth, “ἡ καλλίστη συμφωνία” (the best accord), according to Aristoxenus. Later on, the term diapason replaced that of harmony. 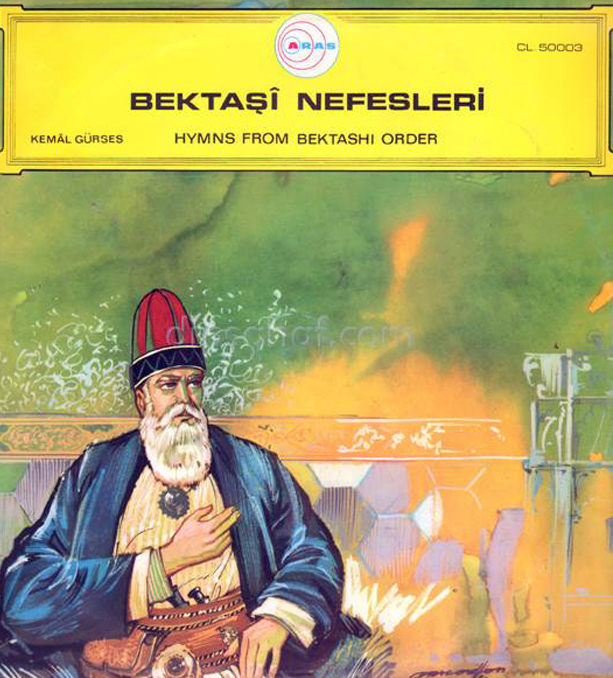 For the Byzantines it was “ἡ διαοκτώ ἢ δι’ ὀγδόης ἁρμονία” (the harmony through the octave). Today diapason is also a tuning fork or any standard pitch used for tuning. It could certainly be maintained that not even the concept of music remained unchanged – indeed, this development took place in ancient Greek times. 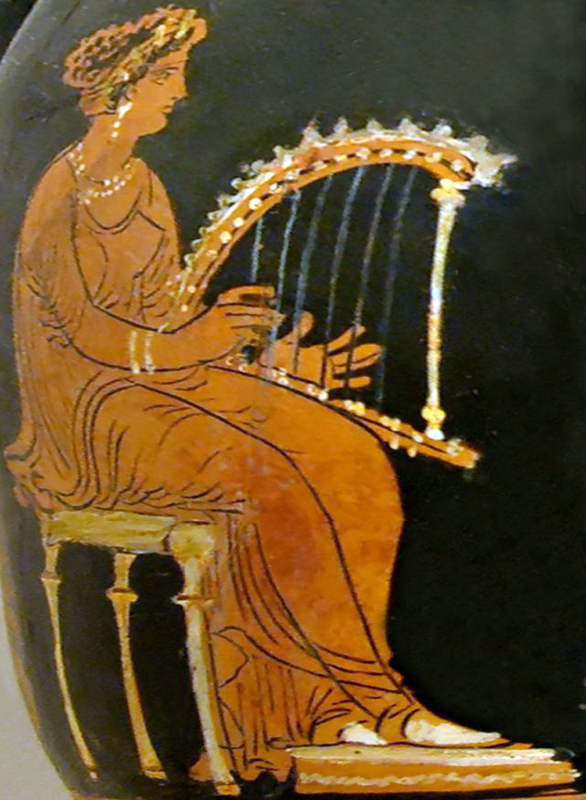 Music as a term appeared for the first time in the 5th century BCE in Pindar’s poetry (Olympian Victory Odes and Hymns) and later in Herodotus’ and Thucydides’ Histories. For a long time this term denoted the combined spiritual and mental performance especially in the letters and arts. As Plato says in The Republic, the body needs exercise while the soul needs music. A “narrower” definition of the term was lyric poetry, that is, poetry with music, melos (melody). Besides, at that time poetry without music was unthinkable. The two arts became independent in the 4th century BCE. It was then that the two terms acquired their current meaning. Previously, of course, poetry denoted creation, construction (ποιεῖν = to create, make). With the special meaning of artistic creation it was first used by Simonides of Ceos (6th-5th century); a poet was thought to be a composer of music. The word music was perhaps invented by Lasus of Hermione (6th century), who was among the first artists that combined the qualities of a musician and a musicologist, having dealt with both the art and science of music. As for the perception of music, there were two schools: the Pythagorean and the Aristoxenian. Pythagoras disapproved of the appraisal of music through the senses (hearing). The merit of this art, he used to say, is because we can perceive it through the intellect (mind). Aristoxenus, on his part, supported a dual scientific principle: on the one hand, he based himself on the sense of hearing to perceive and appraise the pitch, intervals, etc; and on the other hand he relied on the intellect in order to distinguish the mechanisms of sounds. After all these “digressions” (which have been, in part, the… purpose of this Voyage), let’s have a look at some instruments with “negative specifications”, according to Karas. 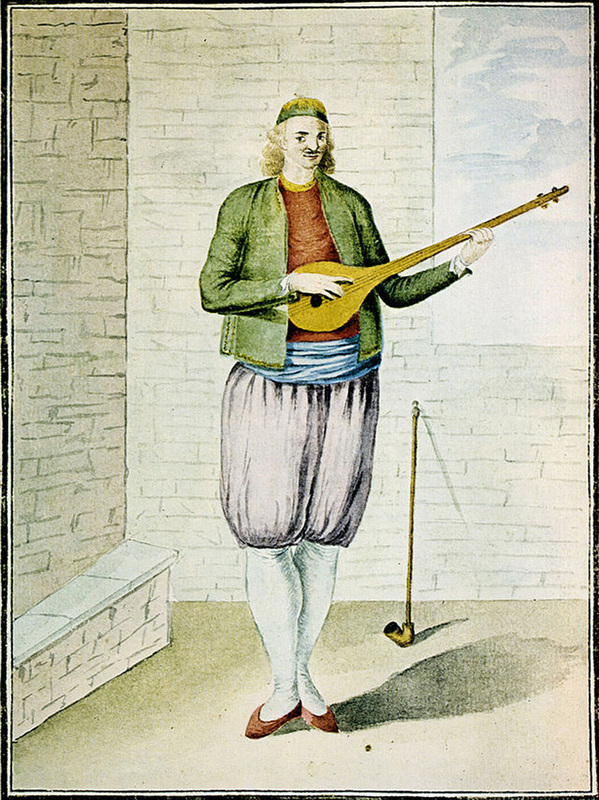 Surprisingly he turned against the cümbüş, or “djimbisi”, as he “Hellenized” it, describing it as a “mixobarbarian [half-barbarian] combination of an Occidental banjo, laouto and oud”, and also complained because “it’s been replacing the oud (the medieval, ancient-style guitar)”… But the only Occidental feature on the cümbüş is its soundboard (the metallic soundboard of the banjo). Nevertheless, it makes no big difference the way the sound of an instrument is amplified. 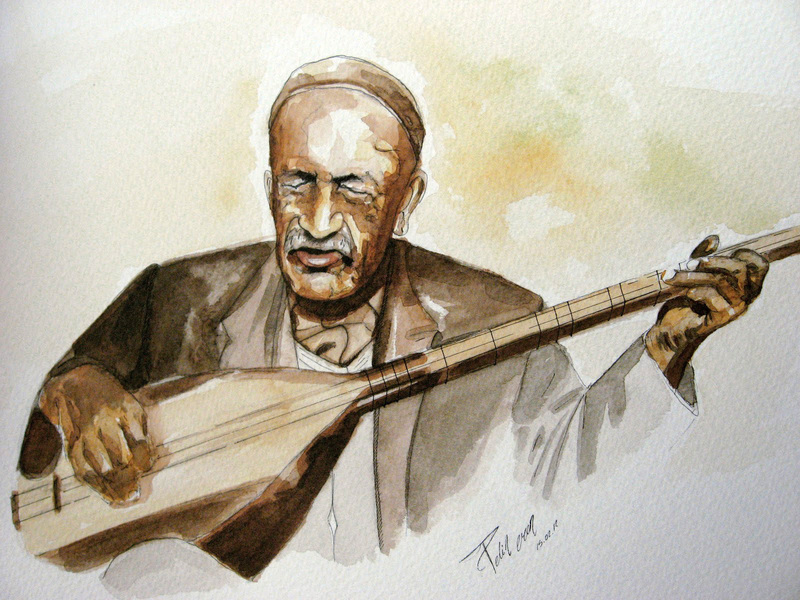 Its basic part is the neck and the intervals produced by the fingerboard – and the cümbüş is normally fretless: that is, even subtle changes in pitch are possible, as if we play an oud, or a violin. So why such fury? 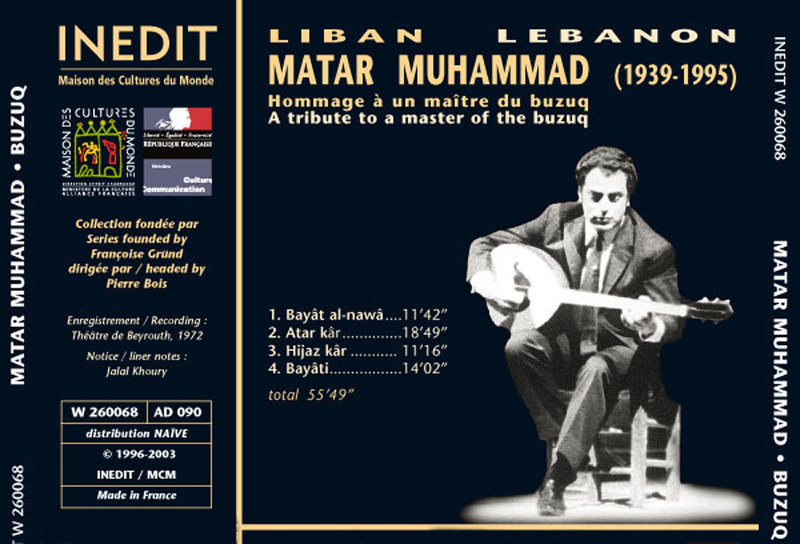 Additionally, in another outright arbitrariness in the table of contents on a record with Songs of Thasos, Lemnos and Samothrace, Karas renamed the (distasteful to him) bouzouki to… tambourás. 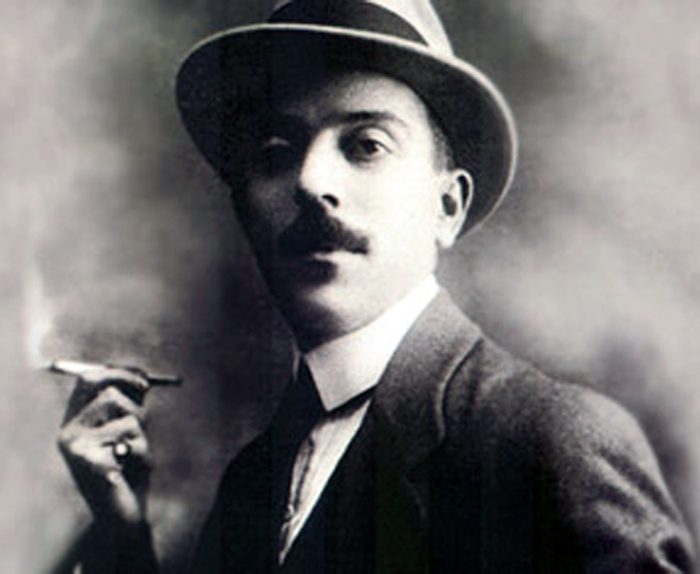 Ironically, the producers of a disc with Cretan songs have done… exactly the opposite for commercial reasons, renaming Stelios Foustalieris’ tambourás, the bulgarí, to bouzouki! Why this masquerade? Is it really possible to safeguard any national character with such… “transvestite” disguise? Thus, according to Karas, the cümbüş is “mixobarbarian” – which reminds me that in ancient Greece, only one out of the four basic “harmonies” (modes) was Hellenic in origin: the Dorian. Two of them, the Lydian and Phrygian, were “barbarian” by birth (coming from Lydia and Phrygia), while the fourth was… “mixobarbarian”: it was the Mixolydian – created, according to Aristoxenus, by Sappho, from whom the tragedians received it, for the pathos of this harmony was appropriate to their plays. 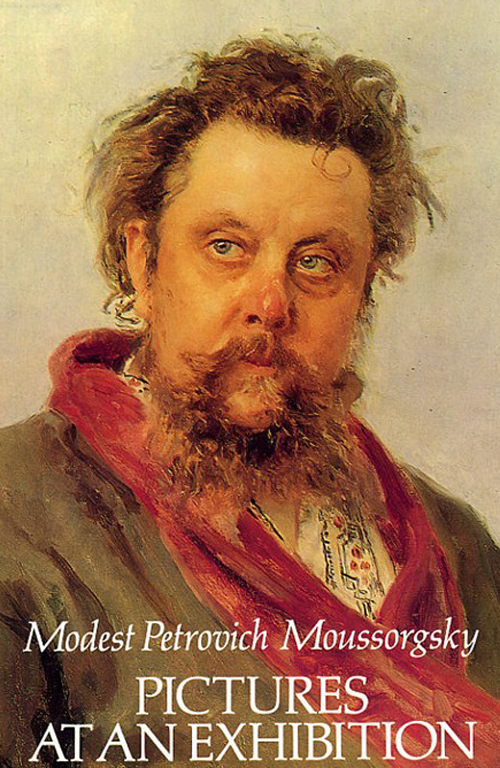 As Plutarch commented: “the mixolydian is pathetic, in harmony with the tragedies”. Let alone the etymological origin of the word cümbüş that, according to some claims, is the… unquestionably ancient Greek symposium! In ancient Greece only one out of the four basic modes was Hellenic in origin: the Dorian. The Lydian and Phrygian were “barbarian” by birth, while the fourth was… “mixobarbarian” (half-barbarian): it was the Mixolydian. All the above, however, are “details” when speaking of Karas, whom I was fortunate enough to enjoy at work during the 3rd and – what a pity! 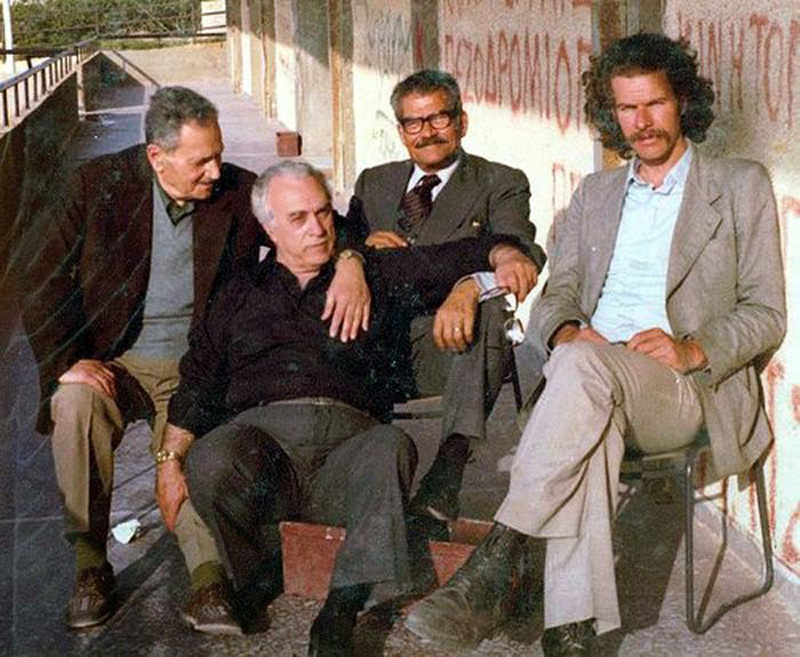 – last musicological symposium in Delphi in 1988. I can assure you he was an excellent teacher; a real master, and not… yalanci (fake), such as those “tambourás masters” who might have been his pupils (see Voyage 6). That’s why I insist on my criticism, targeting them rather than him. 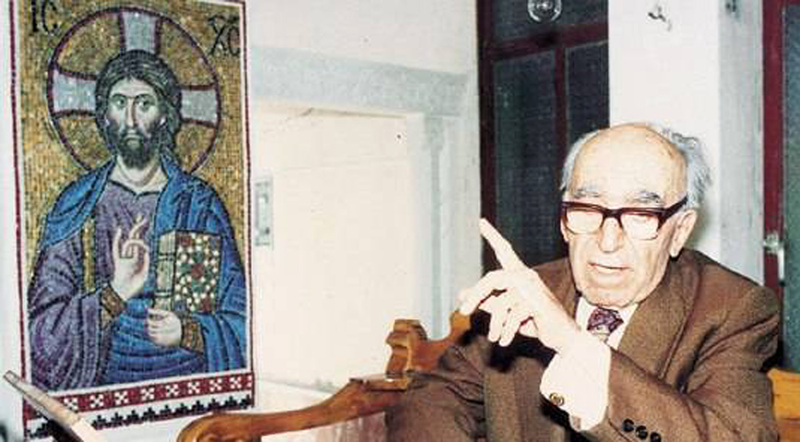 He’s been indeed a so-called “teacher of the nation” in the field of Greek traditional music – even though this music has never been “national”, as he claimed in the title of his society. It’s absolutely certain that when Karas spoke of “national music”, he did not mean… ethnic! So let’s have a look in brief at the relationship between music and nation. 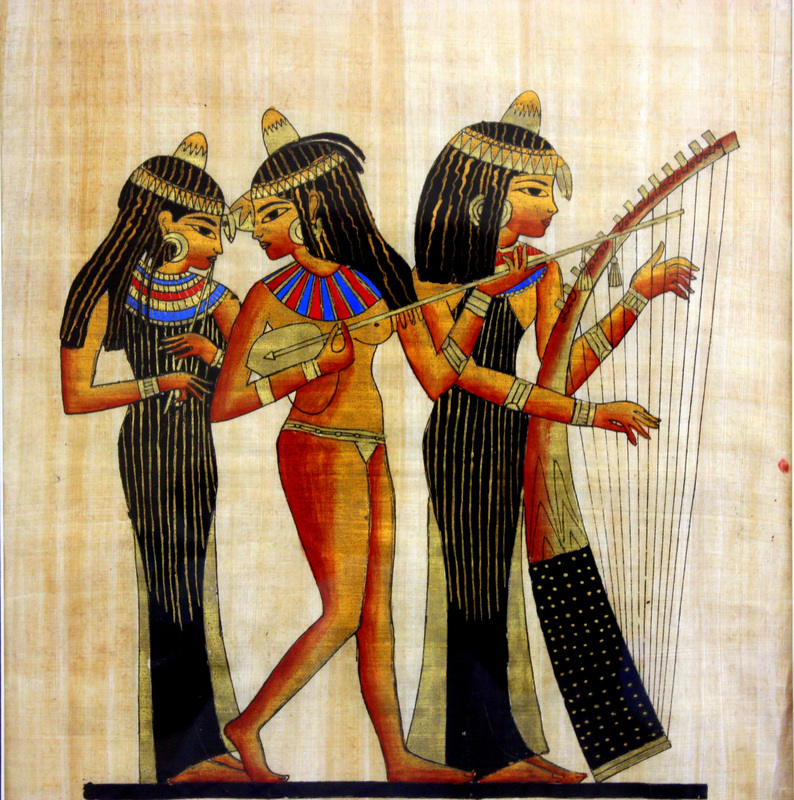 MUSIC is as old as we are: it’s innate in humans. Nations, on the other hand, appeared somewhat recently in history not in order to fulfill some human needs, as music does, but rather for economic and political reasons. I mean, of course, nation states and not ethnicities, which are something different, formed since ancient times, deriving from different human clans and tribes. Therefore, there are no national characteristics in music. Essentially, there is no Hellenic, Turkish, Bulgarian, etc music. When we use national attributes we simply mean that a piece e.g. has Greek lyrics, if it is a song, or that its composer is Greek. 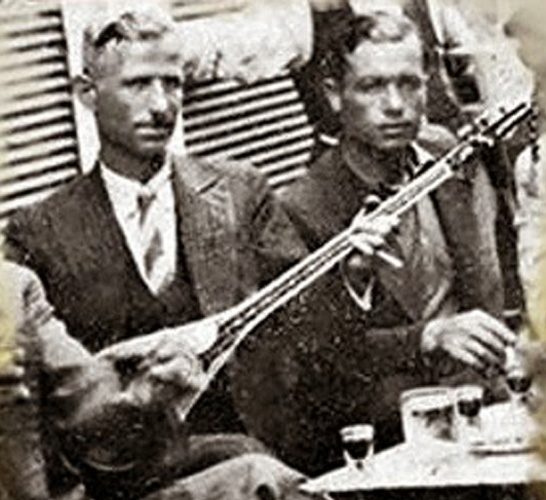 In fact, far too many “Hellenic” songs have actually nothing to do with local traditional music genres (they could be described as rock, tango, mambo, etc), no matter if they have Greek lyrics or composers. There are no national characteristics in music. no matter if they have Greek lyrics or composers. 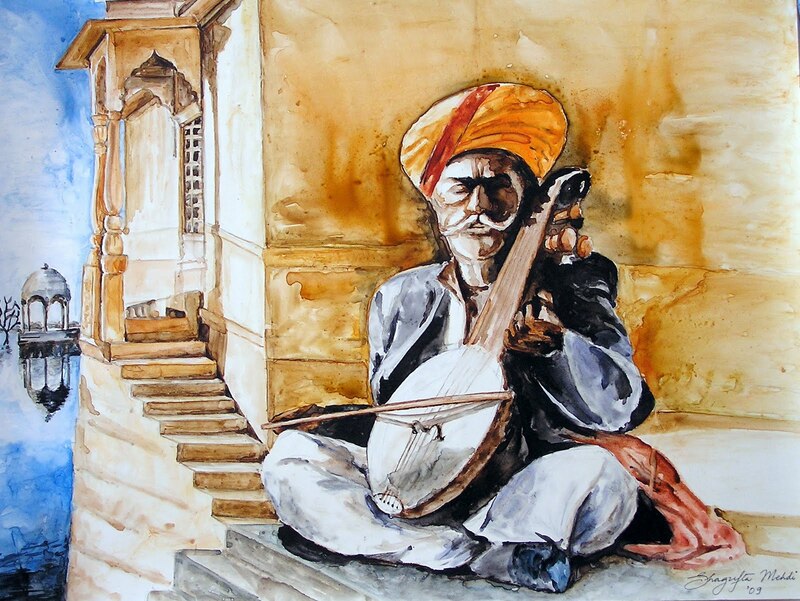 Folk music is not national but ethnic. Erudite music is multinational. Folk music is born as an idiom in areas smaller than the present nation states, under conditions of agricultural natural economy – areas which are generally divided among neighbouring nation states (e.g. Thrace is divided into three). The pace of its development, as well as the inflow of outside influence, is determined by the geography of each region. That’s how musical idioms are articulated. A “problem” arises due to the lack of racial “purity” in these areas, as they are inhabited by people of various ethnicities, each one with its own peculiarities, which are gradually digested into a common idiom, though they retain certain autonomy. As we have seen (see Voyage 4), the more the ethnicities, the richer the idioms. Therefore, folk music is not national but ethnic. Erudite music, on the other hand, has been a collective effort of elite musicians streaming into the metropolises of multinational empires. 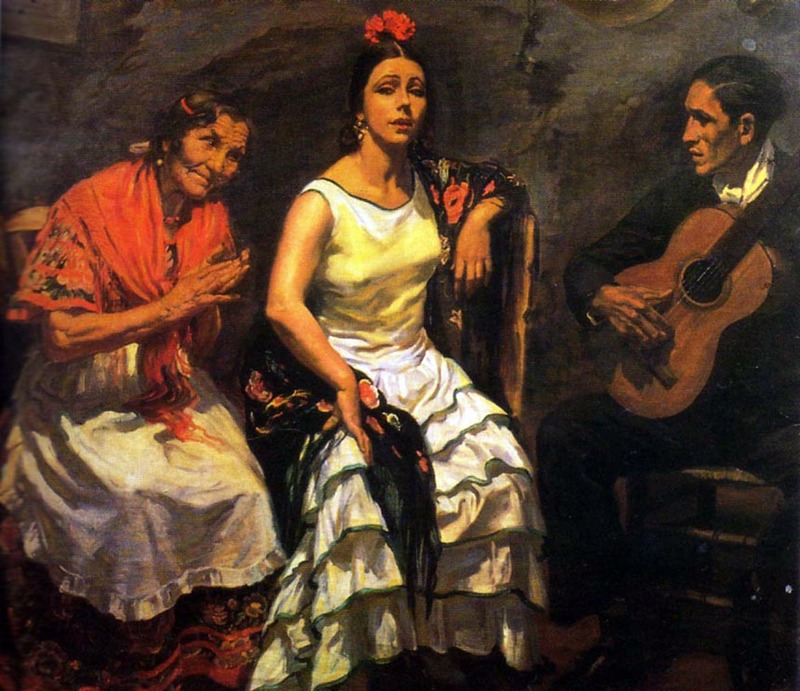 Because of the involvement of artists from several nationalities or ethnicities, each with another background, this music is mostly multinational (or transnational, but never international). This applies even to the classical music of Europe, although, broadly speaking, national borders had been drawn there before the period of its great acme. In the final analysis, we should not care much about the alleged national character or origin of music or its instruments. Such thoughts distract our attention from the essence of the matter, which is music itself. After all, who can trace its evolution? 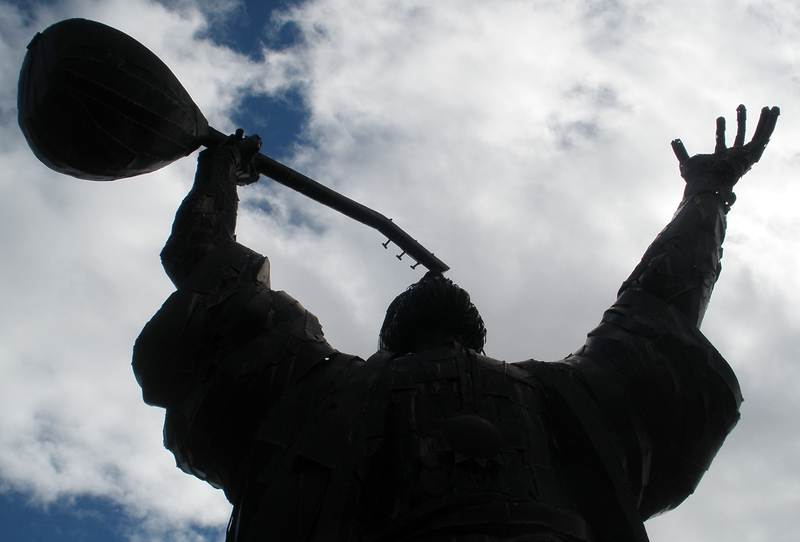 Who was the first person who noticed that a tense bowstring produces a sound? Who then found that the sound is amplified if there is something hollow to function as a soundboard? Such discoveries are as old as man. So they should have taken place in Africa, the cradle of the human race. What does this mean? That music and its instruments are African-born? Of course not! It just means that in various periods of time, in several areas of the world, we can observe the emergence of the same instruments more or less, for they are based on the same natural laws. In various times and spaces we observe the emergence of the same instruments more or less for they are based on the same natural laws. 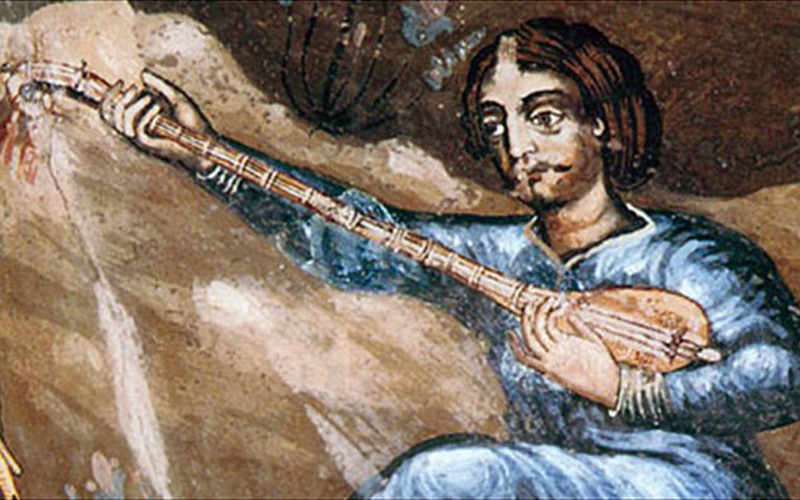 “We say that a musical instrument belongs to the folk tradition of a country when its people have sung with this instrument their aspirations and sorrows, especially in times-watersheds in their history,” Phoebus Anogianakis writes with simplicity and clarity, cutting the… Gordian Knot, and bringing us down to earth from the nebulae of the ancients’ exaltation, and at the same time giving us the key so as to go deeper into the subject. 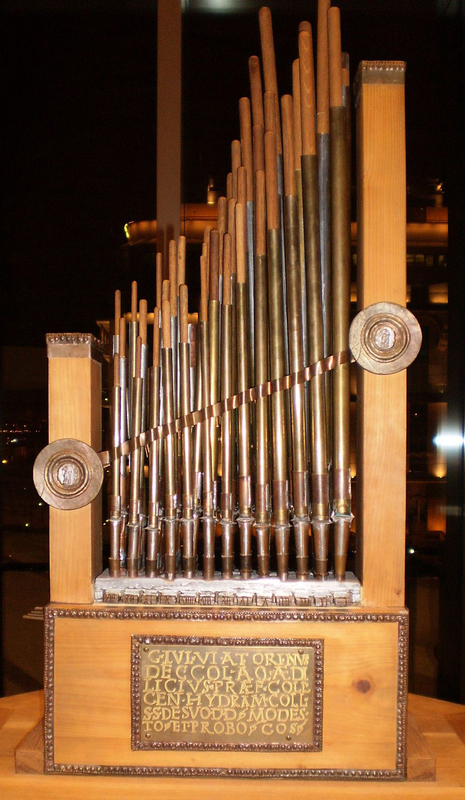 This instrument was the hydraulis, the water organ, today’s pipe organ, in its embryonic form. Its inventor was the Alexandrian engineer Ctesibius in the 3rd century BCE. Sometimes the invention is attributed to his contemporary Archimedes, though latter’s contribution should have been indirect, due to the achievements of his ingenious mind, as he was the most important figure in the realm of science in the ancient world. Quite rightly these Greek scientists are thought of as the spiritual fathers of Leonardo da Vinci and so many other inventive minds of Europe from the Renaissance onwards. Ctesibius apparently based himself on the hydraulic inventions and applications of the Syracusan, mainly on Archimedean hydraulic clocks. Along with hydraulics, Ctesibius studied pneumatics – the science dealing with pneuma, that is, air, and its several applications. (e) In fact, he is considered as the… pneumatic (spiritual) father of this science, as he proved what others had already observed: that invisible air, gas, is something material. Along with hydraulics, Ctesibius studied pneumatics – the science dealing with pneuma, that is, air, gas. (e) Hydraulics and pneumatics are sister sciences: the former deals with liquids, the latter with gases. The work of the Alexandrian engineers could not go unnoticed in Rome or Constantinople that were great powers. Among other inventions the Byzantine scientists admired Hero’s “automata” and perfected them. There were several such mechanisms in the palaces (golden plane trees with singing birds, lions and other wild animals roaring while turning their necks, griffins flapping their wings, etc) in order to impress foreign visitors. The hydraulic organ was equally impressive; thus the musical instrument ended up… diplomatic. In the 8th century, the Byzantine emperor Constantine V, the so-called… Copronymus,(g) donated an organ to the Frankish king Pepin the… Short – the instrument is now known all over the world by the Greek term organ (meaning instrument among other things) – and what followed is common knowledge more or less. You can see the potential impact of gifts exchanged between “Blue bloods” on the history of music: no matter if diplomacy has never promoted culture, politics influences its development – as a rule negatively. Political history, however, developed in another direction. Despite the Byzantine gifts to the Occident, the underlying Schism between the Churches was formalized,(h) the Holy See declared a “holy war” against the “infidels” (probably under the sound of… pipe organs), and that’s how the Crusades began leading to the first fall of Constantinople, since the Orthodox Christians were included among the “infidels” – or else among the “heretics” who are always… worse than the “infidels”! The control of the Orient necessitated the overthrow of “Romanía” and the division of the booty between the Frankish plunderers and their Venetian instigators. (h) How is it possible a self-advertised “religion of love” to be plagued by an avalanche of schisms and (“holy” or “unholy”) wars? As usual, Christianism emerges as the champion in this field, as well, followed by the other monotheistic religions, Judaism and Islam. It was the beginning of the end, a crucial turning point, a development that left its indelible stamp on the history of not only the Mediterranean, or even Europe, but also the whole world, because since then everything changed. It marked the end of the epoch that began in the Near East during the Neolithic era, with the birth of civilization, and the Mediterranean as the epicentre of history. 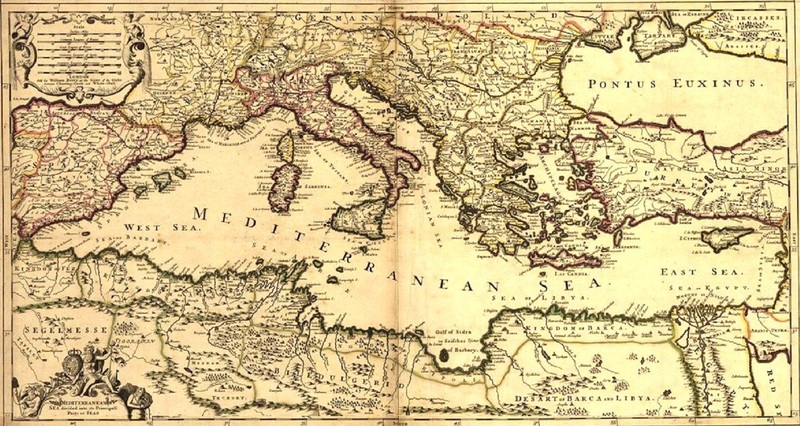 Mare nostrum was de facto marginalized. Its fortunes would since be governed by non-Mediterranean powers. 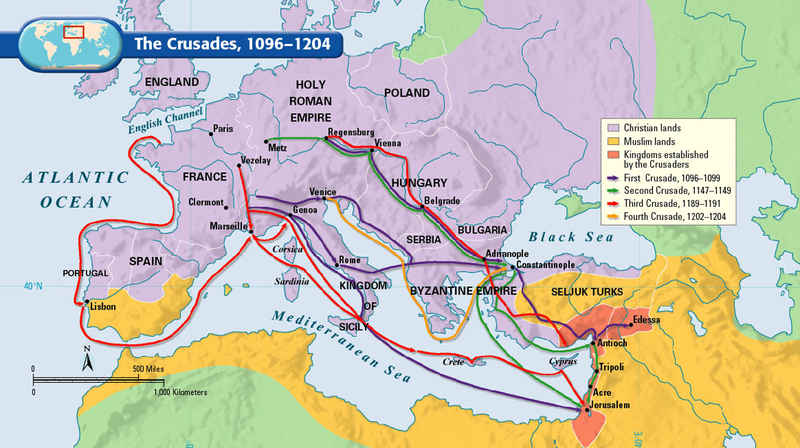 The Crusades (1096-1204): 1st (purple route), 2nd (green), 3rd (red) and 4th Crusade (orange): it started from Venice and ended in Constantinople, the ultimate goal of Venetians and Franks. As usual, the perpetrators made sure of their “absolution” through their propaganda that even their victims reproduce – perhaps because perpetrators and victims are now “allies”, “partners”! Whitewashing first became grotesque (with all those… “Crusades for peace” that constitute the zenith of hypocrisy) and then macabre – as soon as bombs started falling in the first… “Humanitarian war” in history, even without the consent of the United Nations! 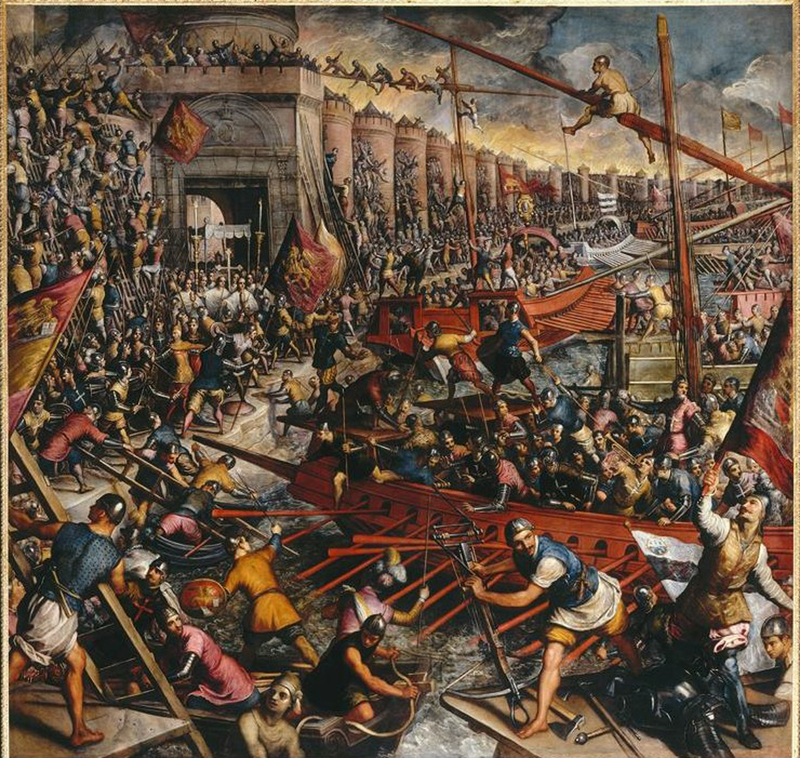 Crusaders: “liberators” of Jerusalem, but “conquerors” of Constantinople! Whitewashing first became grotesque (with all those… “Crusades for peace”) and then macabre – as soon as bombs started falling in the first… “Humanitarian war” in history! We may have deviated from our path, but in essence our subject dealt not so much with the Thracian or Asian origin of music, as with the futility of the ancients’ exaltation, and especially of “ancestor-mania”, which is nothing but empty words. See, for example, the hydraulis we were lucky to excavate at Dion:(i) It was initially announced that the instrument was polyphonic. Doesn’t this mean that the music of late antiquity was also polyphonic? Was there a thorough research in advance, or such a conclusion was reported lightheartedly? 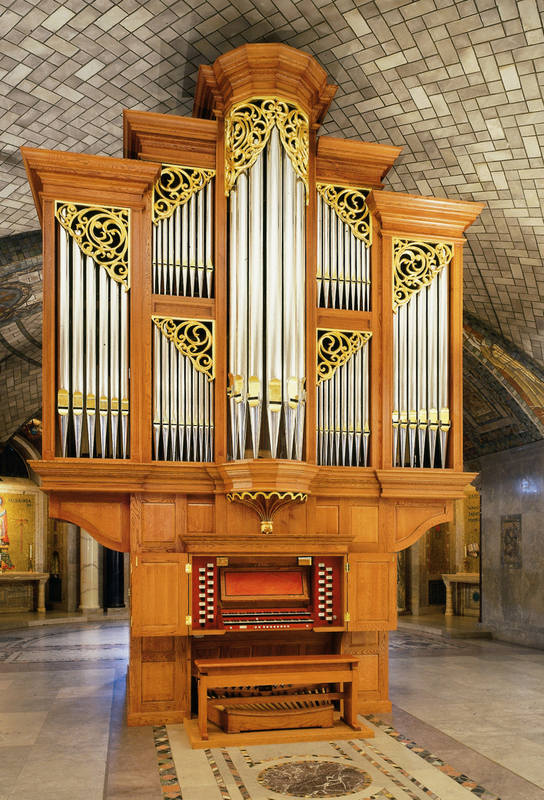 The aim was to restore the instrument or to revamp it in the font of European polyphony? 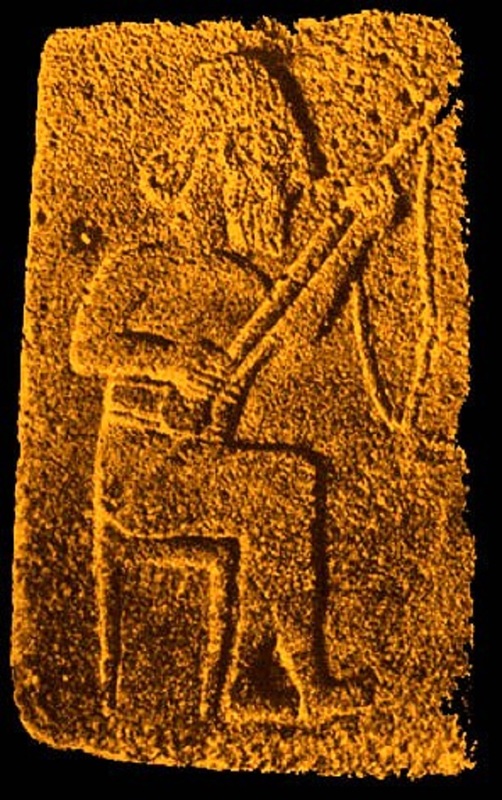 (i) A tomb stele with a depiction of nabla was also found at Dion. 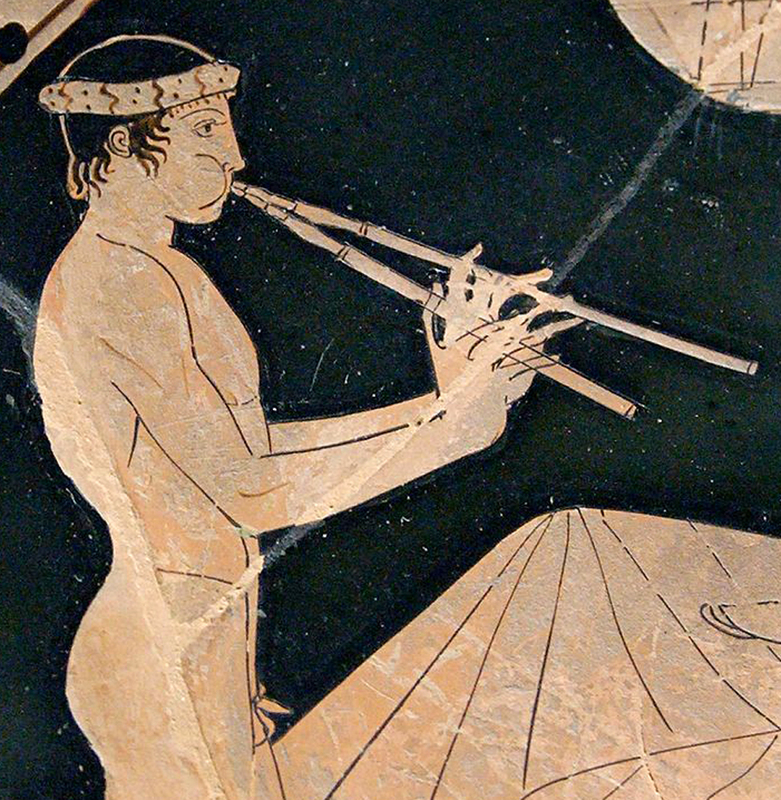 Can we possibly assume that the ancient musicians we see depicted so often with diaulos (double aulos) played in… thirds? (j) Or that on the multi-reed syrinx (Pan pipe) they could play… chords? 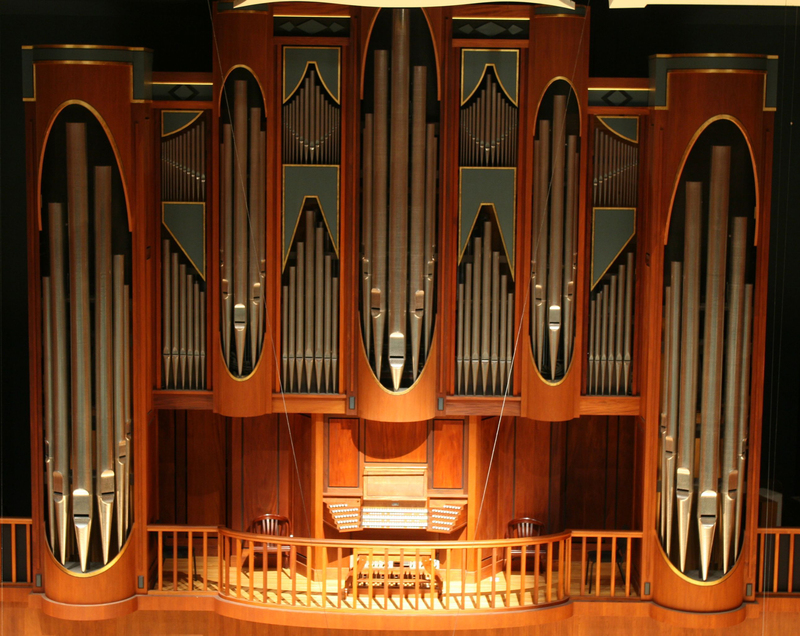 It is inconceivable to me that the hydraulis can be suitable for… Bach’s Toccata and Fugue, exactly as we fail to perform pieces of modal music on the pipe organ. Each instrument is made based on the specifications of the kind of music which is prescribed for. (j) The now dominant two-note consonance, the third, was considered as dissonance and cacophony by ancient Hellenes and Byzantines alike. “Big deal”, is the cynical answer. Some… Jurassic Park enthusiasts seem determined to make up for the water organ’s lost time, mastering the repertoire of the pipe organ and also composing new music especially for the hydraulis. And what we do is to put the blame solely on such… cloners!